Quadratus lumborum block (QLB) is a type of abdominal wall block which has shown promising results in managing the postoperative pain of patients undergoing abdominal and retroperitoneal surgeries. We report a case where the correctly placed ultrasound-guided continuous type 1 QLB failed to provide analgesia in a patient undergoing laparoscopic nephrectomy. This failure occurred secondary to damage to thoracolumbar fascia (TLF) during the surgical dissection, A 45-year-old male was given type continuous 1 ultrasound guided quadratus lumborum block.muscle and TLF. Laparoscopic surgery started. While doing surgical dissection, anterior layer of TLF got damaged and the catheter was seen lying over the QL muscle in the laparoscopic monitor. Surgery went uneventful. Before extubation catheter was removed. Ultrasound-guided continuous type 3 QLB was performed to manage the postoperative pain. Ropivacaine (0.2%) 20 ml bolus was given after negative aspiration for blood. The patient was extubated. Continuous infusion of 0.1% ropivacaine started at 5ml/h in the recovery room. The catheter was removed on third postoperative day. Drug deposited in quadratus lumborum plane spreads medially, under lateral arcuate ligament to reach the thoracic paravertebral space. Therefore the drug spread to paraveretbral space after type 2 and type 3 QLB is better when compared to type 1 as drug is deposited more medially and posteriorly. Afterward, this drug can spread in the craniocephalic direction to produce sympatholysis. TLF also has high-density network of sympathetic fibers which can be another mechanism for the effects produced by the QL block. In our case , damage to TLF would probably have caused the drug to spread beyond the plane, thus resulting in block failure. 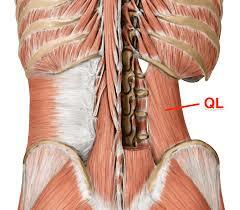 Pre-operatively, the patient was explained regarding both QLB and epidural analgesia and he chose the former. Therefore after observing the damaged TLF, it was decided to perform type 3 QLB since TAP block would have resulted in inadequate analgesia. Quadratus lumborum block is a new block which has shown promising results for both abdominal and retroperitoneal surgeries. But special care should be taken in those cases where surgery involves dissection in the retroperitoneal area. Preferably in these cases quadratus lumborum block by other approaches like posterior or anterior quadratus lumborum block should be performed. The author is MD(Anaesthesia), PDCC(Organ Transplant Anaesthesia) and Assistant Professor Institute of Liver and Biliary Sciences New Delhi Department of Anaesthesia, New Delhi. He is a member Editorial Board, Anesthesiology at Specialty Medical Dialogues.